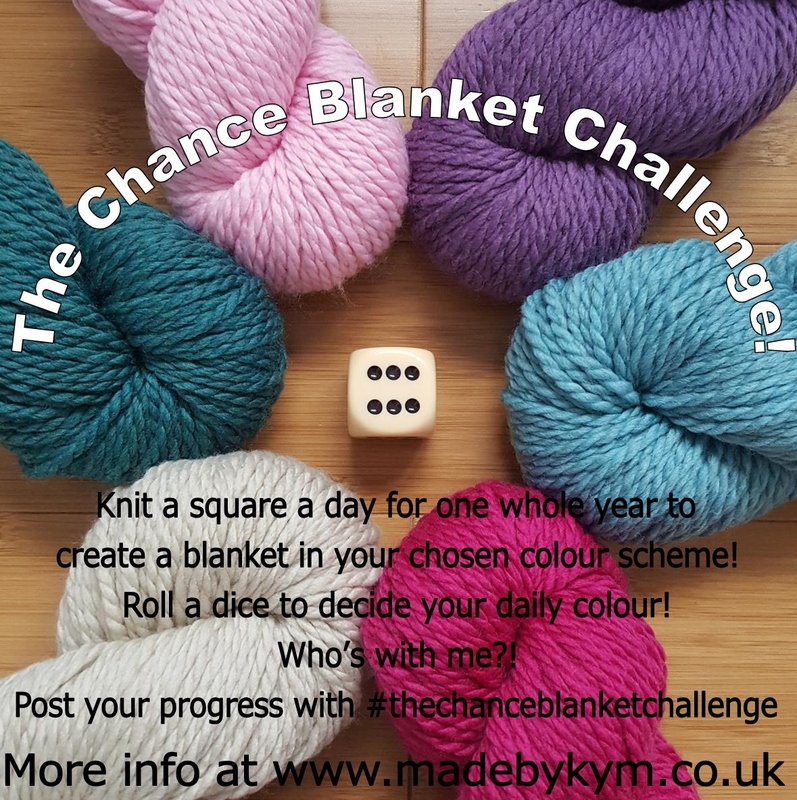 Generation to Generation - Made by Kym: The Chance Blanket Challenge! I loved reading about the Sky Blanket on Laura Lupin’s blog and decide I just had to have a go! Although I didn’t really want to limit my colours to blues and greys, I did still want a bit of randomness to my colour placement. 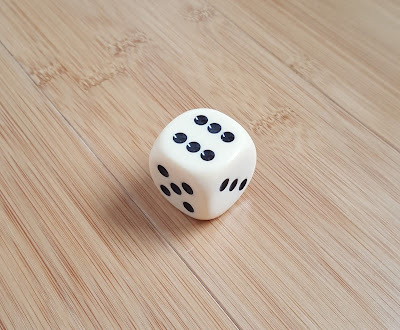 This dice is a souvenir from the casino at Monte Carlo which I got a few years ago while working on board a cruise ship and it has sat on my chest of drawers at home since. It gave me the idea to add the element of chance by rolling the dice to choose which of my six colours to use each day. I am using Cascade 128 Superwash yarn for my chance blanket. It knits up nice and chunky and will be machine washable! I will be using UK size 6mm needles and casting on 14 stitches and knitting 26 rows for each square. Each one will be about 10cm x 10cm. Would love to hear about anyone joining me on my Knitting Challenge, leave a comment below to say hello! Knit a square a day for one whole year to create a blanket in your chosen colour scheme! 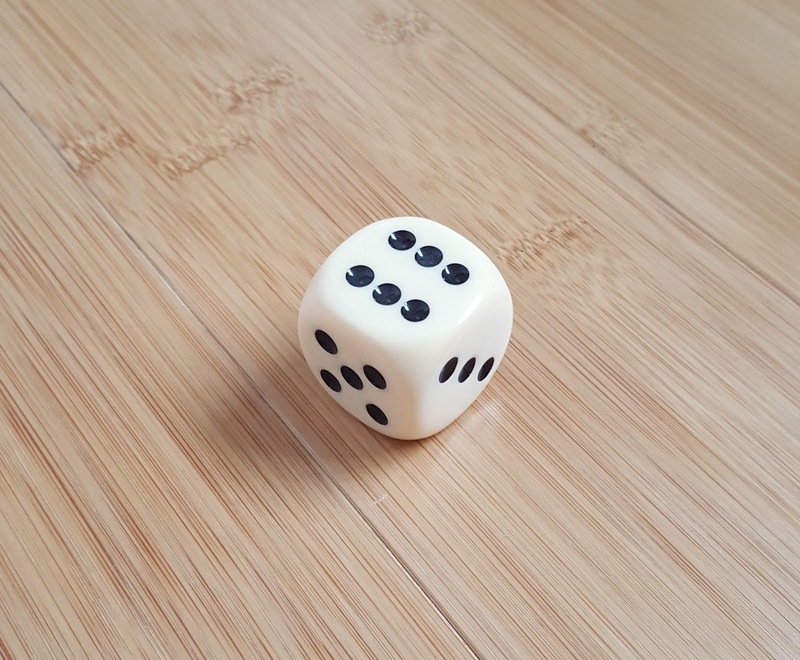 Roll a dice to decide your daily colour! Have a Happy New Year and Happy Knitting! I just saw this in someones post on instagram. It seems a great idea, especially as right now I'm stuck in the house due to the huge snowfall last night. Do you have any estimate on how much of the yarn we will need to complete this challenge. Just curious as I have only made baby blankets and lap blankets up to now. I think I will just pick some colours I have on hand to get started. I am visiting family right now, but live on a little island so would like to pick up the yarn while I am here and take it home with me. :-) Love this idea. Thanks for the inspiration. Hi Pam! Thanks so much for your message! It totally depends on how big you want to make your blanket. My number of stitches on her are just a suggestion really. For mine each square will use about 9-10 grams of the Cascade 128 superwash that I am using. So that will be 3285 - 3650 grams for the whole blanket. If you are using a different yarn / different sized squares then it may be more or less. Best thing to do if you have time is to quickly knit up a square and then weigh it and times that by 365 (days). Of course it all depends on the roll of the dice as to how much of each colour you will need! I have just started with one skein of each colour and then will get some more as I need it. Any progress pics you share on social media add the hashtag #thechanceblanketchallenge :-). Love the spelling btw, I like the idea off chance but don't want to make that many squares. 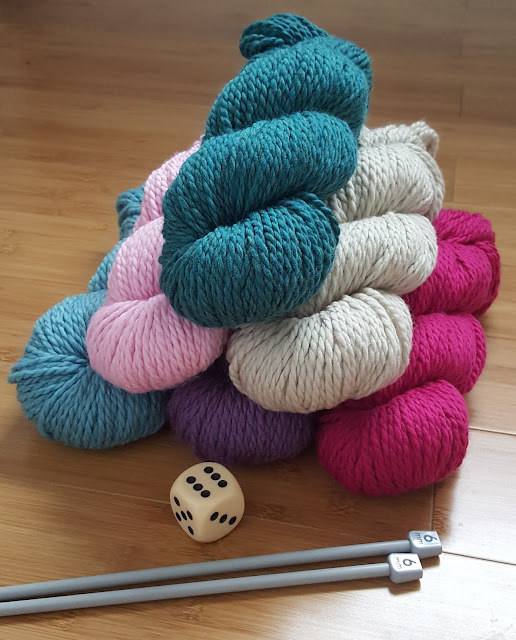 Would it be okay if I rolled a pair of die & knitted that many rows? Still chance combinations but rows of color instead which color. I have so many color choices that I would be hard put to choose only 6 plus money is kinda hard to come by just now so using my stash would be better for me. The spelling...? Not sure what you mean sorry? That sounds like a great idea. Go for it!